Hi-Wire Brewing has revamped their Hi-Pitch India Pale Ale, now calling it Hi-Pitch Mosaic India Pale Ale. Why, you ask?…access to better hops! The young brewery, only in its third year of production, understands the importance of staying relevant in an ever-changing and competitive craft beer market. As drinkers palates change, so do breweries. Hi-Pitch started out featuring Zythos and Centennial hops, which is all Hi-Wire could obtain on contract when first starting out. With three years of continuous growth under their belts, they now have a much wider array of hop options to play with, which spurred the idea to reformulate their flagship IPA. The resulting product will please both old-school Hi-Pitch fans, as well as draw more hop-heads into the brand. Hi-Pitch IPA, known for balancing a sturdy malt backbone with citrus-forward aromas and a lingering bitterness, now features Mosaic hops in place of Zythos. Timing of hop additions has also changed, with more emphasis on late additions and dry hopping to give Hi-Pitch Mosaic IPA huge levels of hop flavor and aroma without adding large amounts of bitterness. A simplified malt bill was also created to let the hops shine. Not only was the beer redesigned, but so was the label and artwork. Drinkers will now notice a more vibrant and colorful label on the Hi-Pitch Mosaic IPA. Don’t worry, the fan-favorite Hi-Pitch Hippo can still be found on the label. The last-ever Hi-Pitch IPA was brewed in early October. 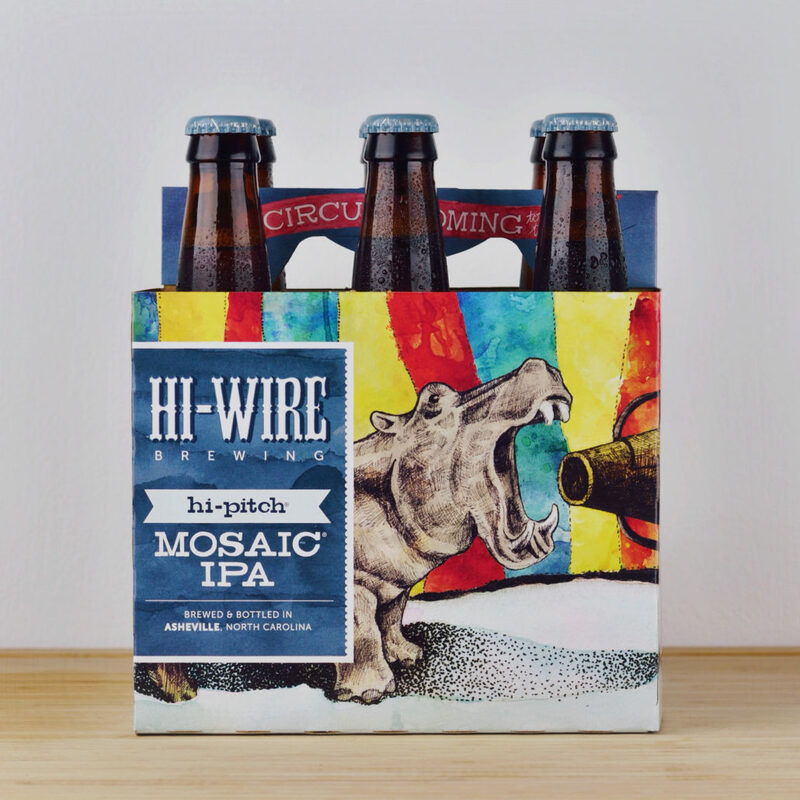 The new and improved Hi-Pitch Mosaic IPA will be available to customers on draft and in six-packs in Hi-Wire’s entire distribution footprint starting this week.